This Product Elle18 Eye Sparklers is comes with various shades with goodness of Almond Oil. This Elle 18 Eye Sparklers comes in a small pencil like package and it has scroll open type pencil, which is very easy to handle. There will not be any wastage of this pencil. Anyways I found the package is quite flimsy as the cap is not so strong enough. 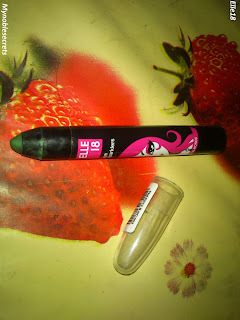 The only good part with this Elle 18 Eye Sparklers is the pencil has creamy texture which is easy to apply and not tugging or pulling the eyes while applying. I was so excited to use this Eye Pencil as am new to colour eye Pencils. I have opened and applied on my eyes. OMG it makes me cry, yes it irritates my eyes like hell and can't take a picture for ETOD. My eyes became red. This is the very worst Eye pencil in my life I bought, My 1st colour eye pencil experience became horrible. The colour also looks very local, and you can remove by just one swipe. very easy na... I am going to use it for painting purpose. (huhhh). The shade looks on my hand is different in real. I hate this and soon find a good one. I love green eye pencils and though this one not suitable for eye line, I think this can be used as a eye makeup base, if not irritated my eye lids. Well I bought this with great expectations and now this eye pencil disappointed me to the hell. 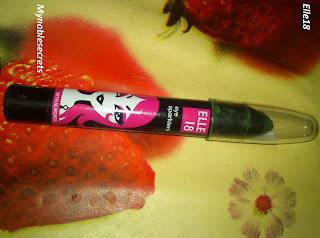 Next to Lakme I consider Elle 18 is the best affordable brand for makeup. This brand has good collection of makeup and especially they have great nail paints and lipsticks. I am yet to try them. But this eye sparkler became dud and I am now feeling hesitation to buy Elle 18 poducts. Poor stay power (you can remove it by one slight swipe). Colour also not that much intense. My Final Verdict is I won't Recommend this product to Anyone. They should Improve the Quality of the Product, It is a totally dud product. Hi Radha, sorry to hear about your bad experience. But I think that you can still use them on upper lashline or on your eyelids as eyeshadow. May that's what it's meant for. I never use colored liners on my waterline so never felt irritation. Don't go by price, firs read the reviews done by people who have already tried them and then only buy! 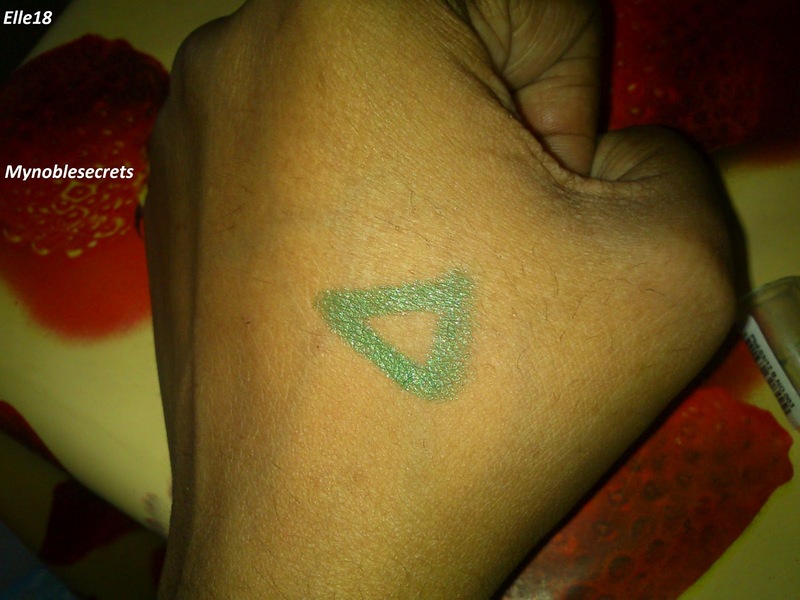 I used this.. One thing which I hated about this product is that, the big tip.. u need to sharp it else.. you gonna use it like an eye shadow..
thanx Nandini for the review...I was planning to buy one. But do they irritate eye lids also? Color looks good Nandini, but its a waste if it does not stays well.